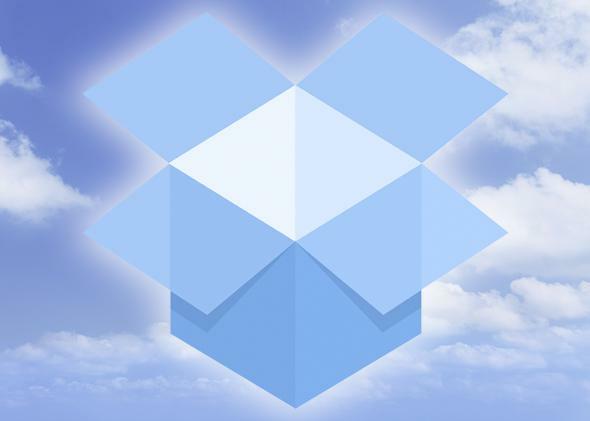 Dropbox: Three big questions about the company that should be Google’s next big acquisition. Answering a few important questions about the future of Dropbox. Dropbox would only make Google stronger. On Tuesday I wrote about why I think Google should acquire Dropbox. Making a statement like that, no matter what arguments I can marshal in its defense, is bound to raise some eyebrows. Over the past 24 hours I’ve received some excellent feedback from Slate’s readers. Some of it has been positive, some skeptical, and almost all of it has been insightful and constructive. And it’s been substantial enough to warrant a follow-up discussion. I’d like to address some of the feedback I’ve received so far. In the meantime, I welcome more, but here are the three most common lines of commentary. Good question! I’m a Google Drive user, and I enjoy the product immensely. I get even more use out of Google Docs. Functionally speaking, there is little difference between Google Drive and Dropbox, and yet I use both. So do millions of people—not to mention the millions more who use Dropbox and don’t use Google Drive. In fact, it’s because Drive and Dropbox are so similar that Google should buy Dropbox. The products are complementary. Whether Google absorbs Dropbox into Drive, keeps it around as a stand-alone product, or replaces Drive with Dropbox altogether, it will have an immediate use for Dropbox. Dropbox will make Google stronger: both by bringing in new users from Dropbox’s ever-increasing share of the cloud storage market and by enhancing Google’s capabilities in the cloud storage space. By a similar token, I think Tesla should buy any hypothetical electric car company that invents a markedly better car battery. Battery technology is central to Tesla’s competitive advantages in the marketplace, and it should do everything it can to be the best at what it specializes in. It should do so even if that means buying out ostensible competitors rather than attempting to outcompete them. Doing so will make its own products better, and it can afford to take the “buy” side of the “build vs. buy” conundrum when buying is more economically efficient. Google is in the same position. Cloud storage—and the attendant services to be sold on top of it—will be central to Google’s success in the next five to 10 years. We’re now looking at the emergence of the Internet of Me: the ecosystem of all the things in my daily life and all the opportunities to derive value from them. Google’s guiding mission is to be the organizing force of the Internet, no matter what form it takes. So if the Internet of Me is at all valuable—and I believe it is one of the largest yet-to-be-tapped service markets in existence—Google will want to take every possible measure to retain its centrality in that Internet. This is a fair point. Finding ways to mine user data responsibly and effectively while preserving privacy is a serious barrier to building an Internet of Me. The path is filled with potential pitfalls and dangerous turns. But the history of Web technology products is one of trade-offs: of data provided in exchange for services rendered. Consumers consider the trade-off acceptable when the value added outweighs the burden of the intrusions. Over time, they stop thinking of it as much of a trade-off at all. Take location data, for example. Allowing a company to track and use one’s location used to be a matter of some controversy. Today, few users of Yelp, Google Maps, or even the latest online dating services would argue that they’re not receiving value in exchange for their location data. Privacy is a precious thing, of course, and it’s worth fighting for. Companies planning to do anything with their users’ data should make their intentions clear, obtain consent in a transparent manner, and provide an easy opt-out choice. This is, give or take, the $10 billion question. Dropbox founder and CEO Drew Houston is an ambitious person. If the rumors are true, he turned down an offer from Steve Jobs and has possibly turned down inquiries from Google over the past few years. It’s clear that Houston wants to take Dropbox all the way to the top. He’d rather become the next Google than sell out to Google. I have no reason to believe that Houston, or Dropbox’s board, would sell to Google (or to anyone else, for that matter), barring an extraordinary acquisition price, perhaps coupled with some extraordinary terms—terms such as, say, catapulting Houston and his team to the executive ranks at Google itself. And so the question really hinges on Drew Houston’s weighing of the expected value of his company’s many options. Whatever path Houston and Dropbox take, however, I’m excited. Few technology companies in the past half-decade have emerged with serious potential to challenge Google, Facebook, and the other giants for supremacy over significant portions of the Internet ecosystem. In Dropbox, we’re seeing a new player take the field—win or lose, I’m watching that game.